We’re only a week or so away from the premier of Dexter Season 5. The dark crime drama with America’s favorite serial killer. I just saw the enticing trailer of upcoming season and it was good. Here is the youtube link. 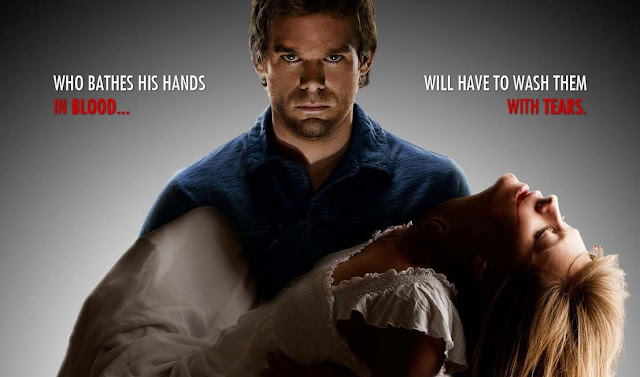 Please do not see this trailer if you have not seen the season finale of Dexter season 4. I think this season is going to be really good with Julia Stiles and Johnny Lee Miller joining the cast. Anticipation continues to rise for the fans of Dexter. Will Dexter feel human emotion due to the recent loss? How will Dexter cope with single Dad situation without Rita? Will Deb finally learn the truth about Dexter? Is Dexter a suspect for this murder? Will police learn anything new while investigating the latest murder? And can anyone top the villainous Trinity character this season? The Dark Passenger arrives Sunday, September 26th. Can't wait. I'm already missing so many series here with a bad mobile connection. can't wait to get my hands on dexter! !